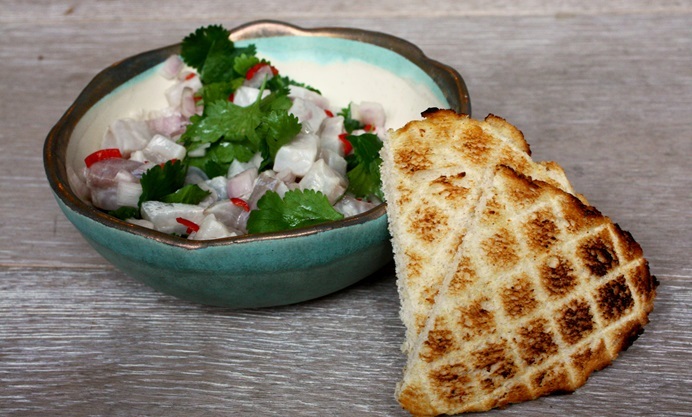 Rachel Walker's simple and refreshing sea bass ceviche recipe uses fresh yellow yuzu to inject a delightful zing, paired with warming chilli, shallot and coriander. 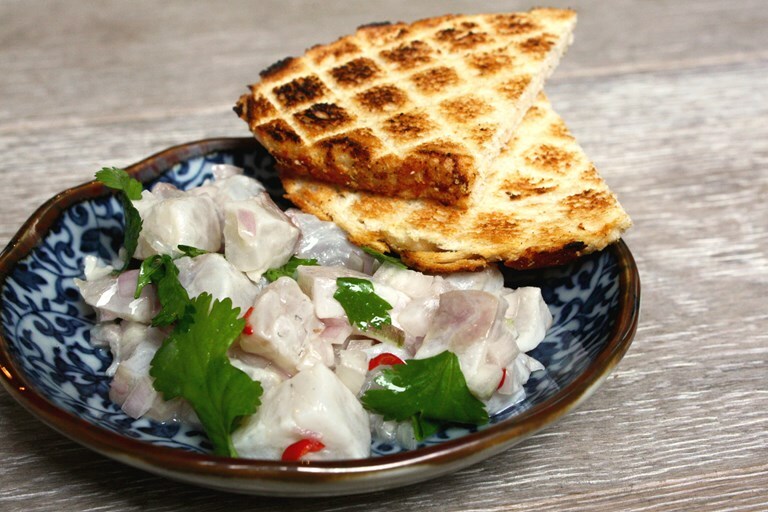 Ceviche is a traditional South American dish – but the substitute of the traditional lemon or lime juice for Japanese yuzu is a seamless transition and adds an exotic edge. It fits neatly with the growing trend for Nikkei cuisine, which is a Japanese-Peruvian fusion.